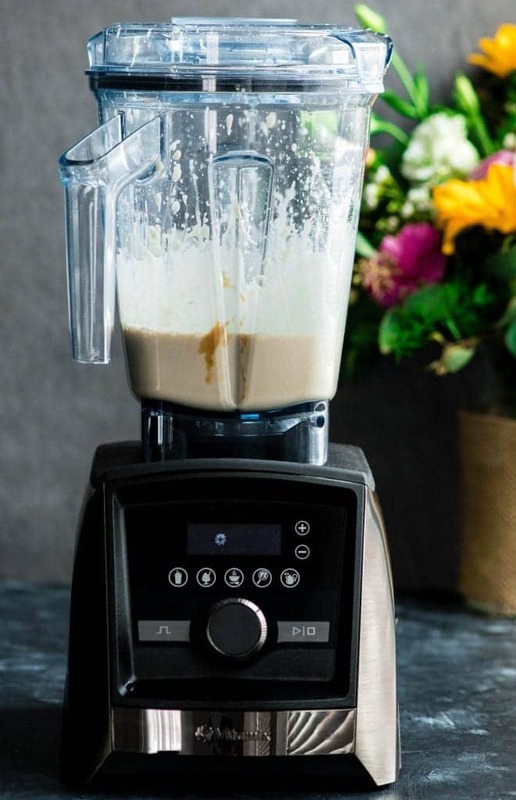 Place all ingredients into a Vitamix (or other high-powered blender) in the order listed. Blend on high for 30 seconds, or until smooth and mixture is homogenous. 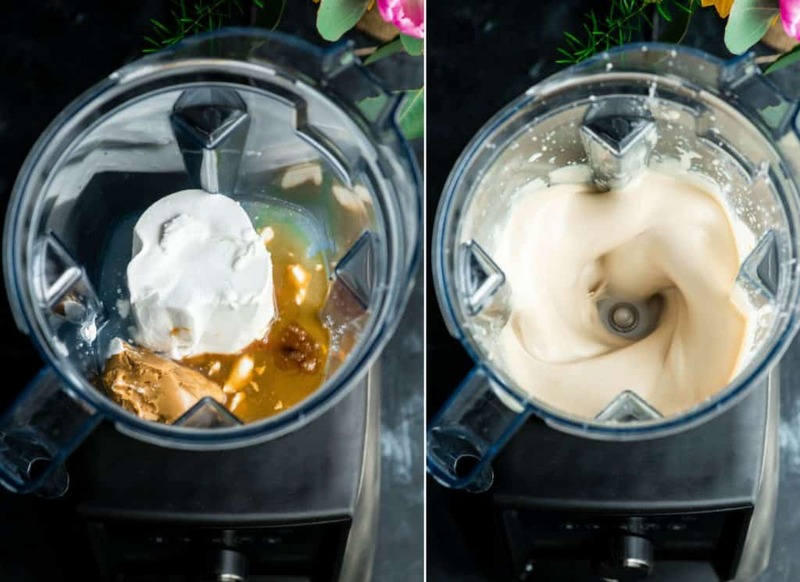 Pour mixture directly from the Vitamix into the ice cream maker while it is moving. 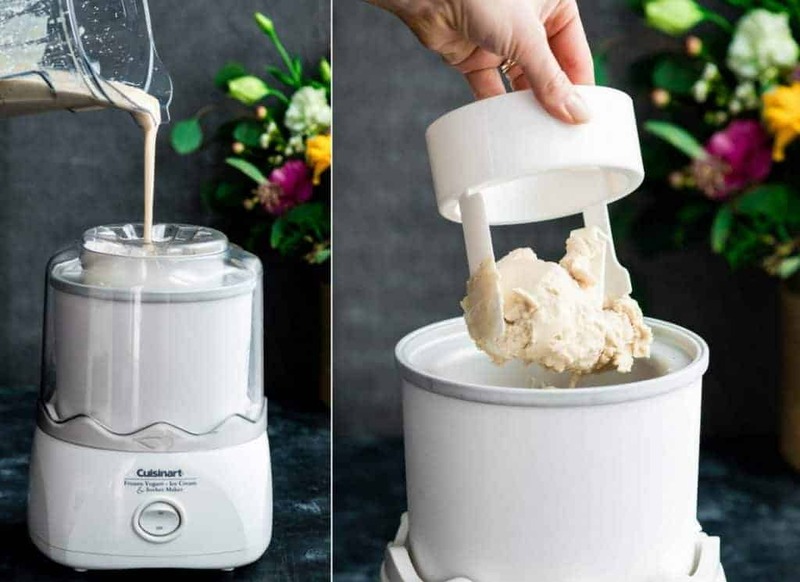 Let the ice cream churn for about 20-25 minutes until it becomes a firm ball or the ice cream maker stops rotating. 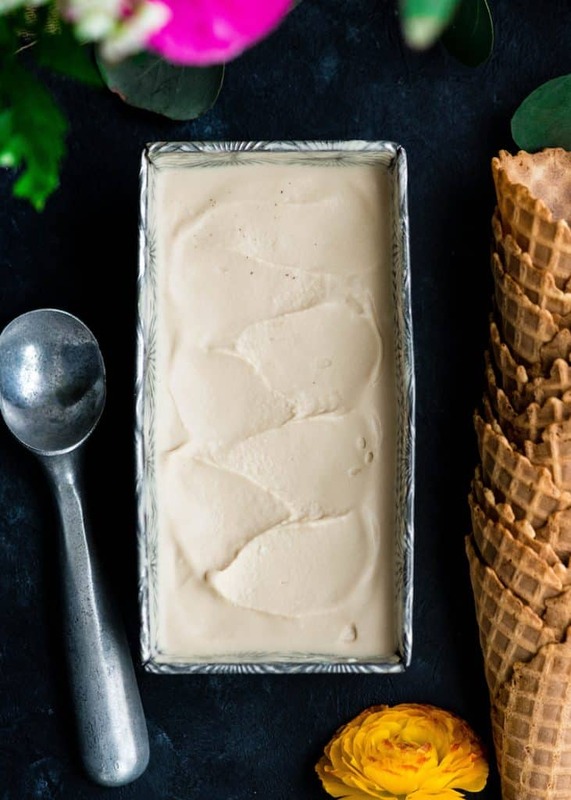 Transfer to an airtight, freezer-friendly container and freeze for at least 1 hour, or until completely frozen. Makes about 1 pint of ice cream. 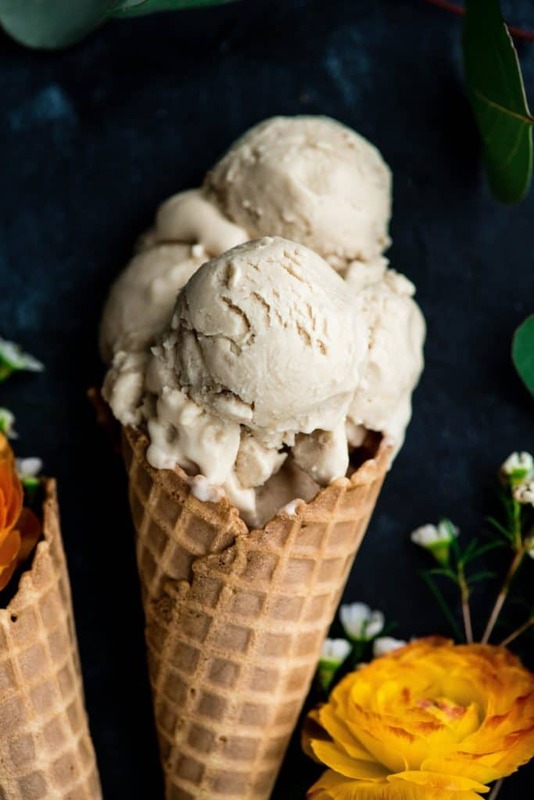 Many people ask me if they can make ice cream without an ice cream maker. 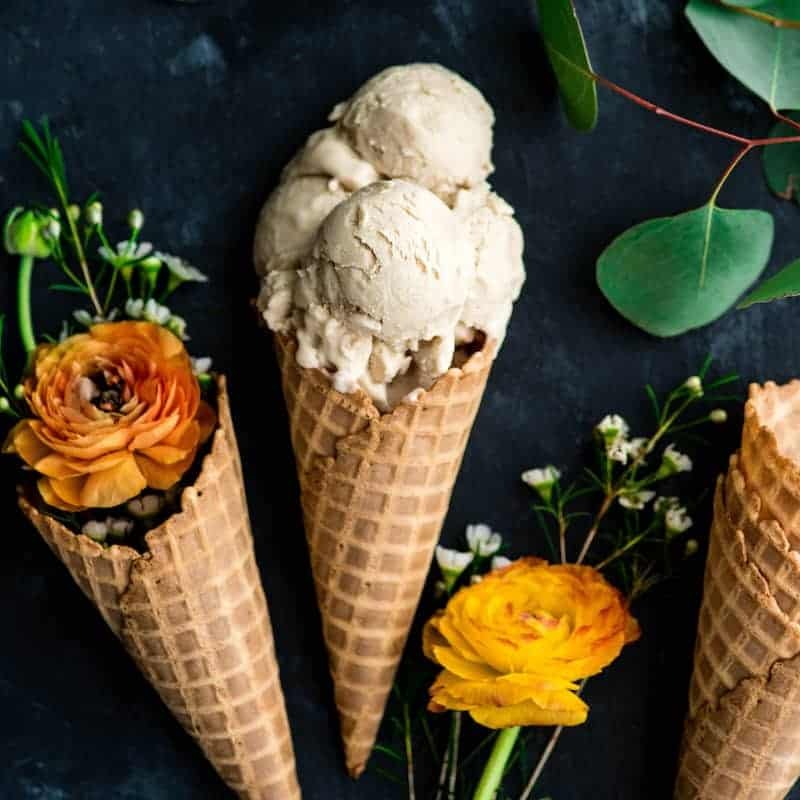 The answer is yes, you can churn it by hand but I highly recommend investing in an ice cream maker if you want the creamiest, dreamiest, homemade ice cream possible. Next Post How to make colorful slices of pear or apple to decorate cakes.